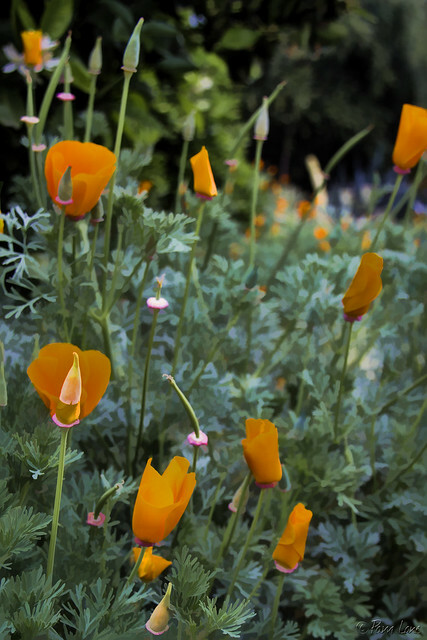 The California poppy, the state flower of California, is a wildflower that typically blooms in April. The hills of the Antelope Valley Poppy Preserve, a couple of hours north of Downey, are usually carpeted with gold flowers as far as the eye can see. So for my birthday this year, I told my parents I wanted to go for a ride to see the poppies in bloom. But the poppies had other plans. 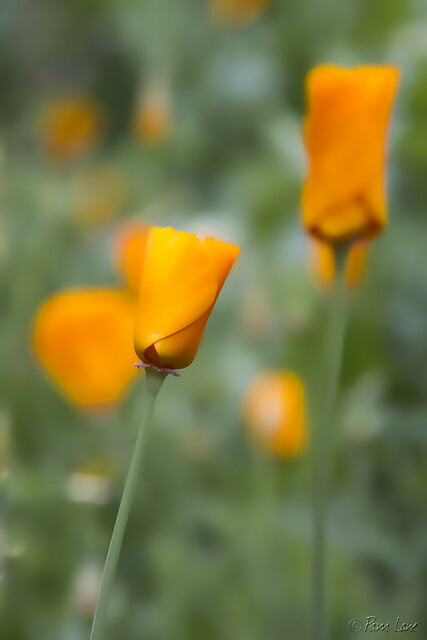 With almost no rain this winter and spring, the poppies failed to bloom this year at the preserve. So we settled for a different ride instead. Without the poppies. Or so I thought. But as we started out, they directed me to make a small detour that ended at the Arlington Garden in Pasadena, where there are poppies in abundance. What a wonderful birthday surprise from my loving parents!